This curated panel explores the complex politics of contemporary textile materials and making. The field of textiles may be characterized on the one hand by its diversity and polyvalence, and on the other as a web of practices grounded in the material and the political. In an era of globalization and rapid technological advances, textiles provide a unique nexus within which to explore a wide range of cultural, social and economic issues including identity, gender, labor, skill, social relations, globalization, ethics and sustainability. The presentations in this panel explore the politics of textile materials and making as they relate to notions of skills sharing and reskilling, the radical potential of craft to enact political change, collectivity in the service of sustainability, and the performance of labor as an antidote to the unequal distribution of resources. Further, these presentations explore the everyday, ritual and function, the relationship between cloth and the nation, and innovative exhibition strategies that unleash the performative power of both materials and making. The diverse range of case studies presented here by academics, artists and curators interrogate the polyvalent politics of textiles together with their modes of production and dissemination in our challenging, contemporary political context. 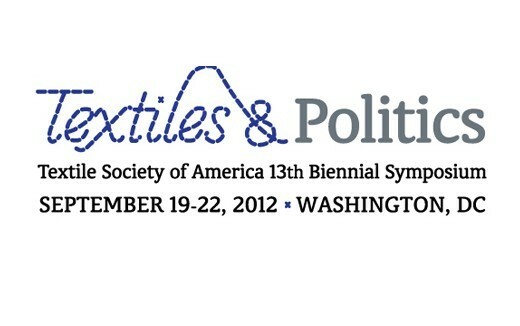 Panel organized and co-Chaired with Ingrid Bachmann (Concordia University) and Ruth Scheuing.Presented at the Textile Society of America Symposium, Textiles and Politics, Washington DC, 2012.